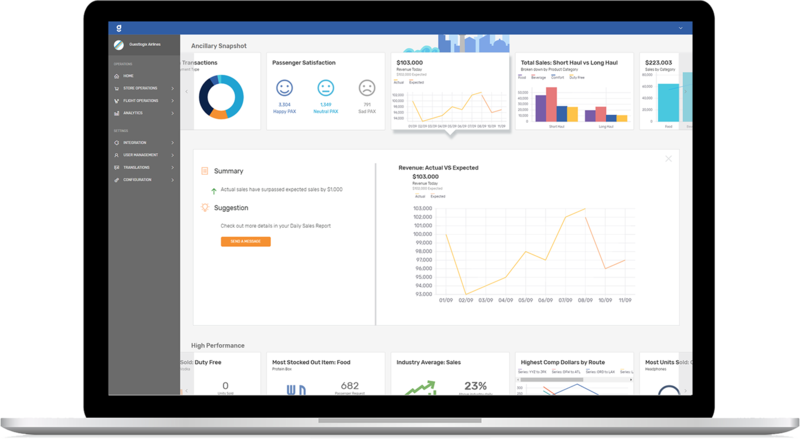 Improve your operations with robust, custom reports and actionable insights. Choose from our pre-made reports or create your own for all areas of your operations like inventory, industry metrics, passenger satisfaction, and more. Get an at-a-glance view of your day-to-day operations right when you log into your account. 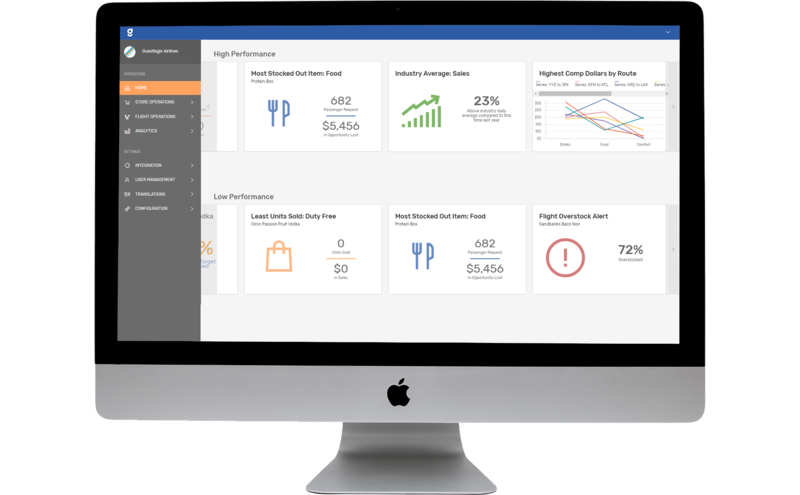 Monitor the performance of your campaigns and onboard sales, with a view into high and low performing areas. Make better business decisions backed by data. Reduce stock-outs and wastage with more accurate forecasting. 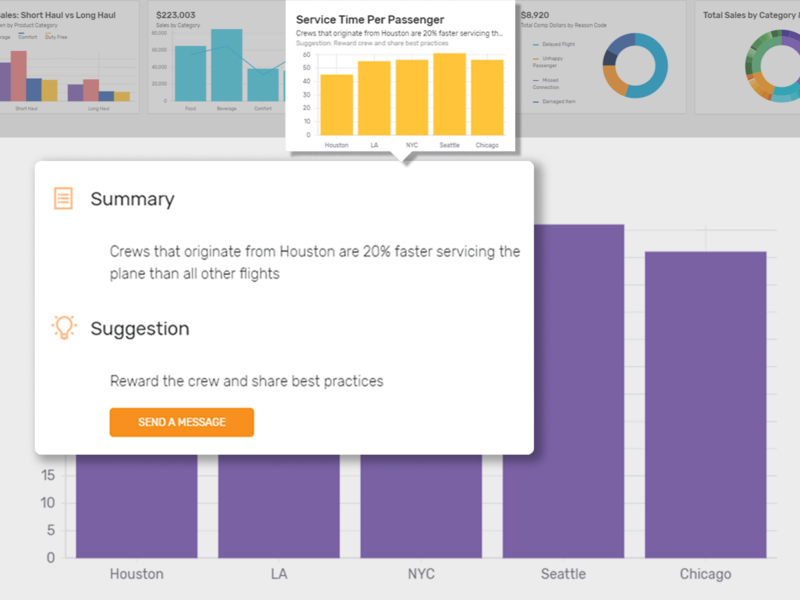 Actionable insights are one click away. In your Management Console dashboard, you’ll find KPI cards with real-time data for quick review. 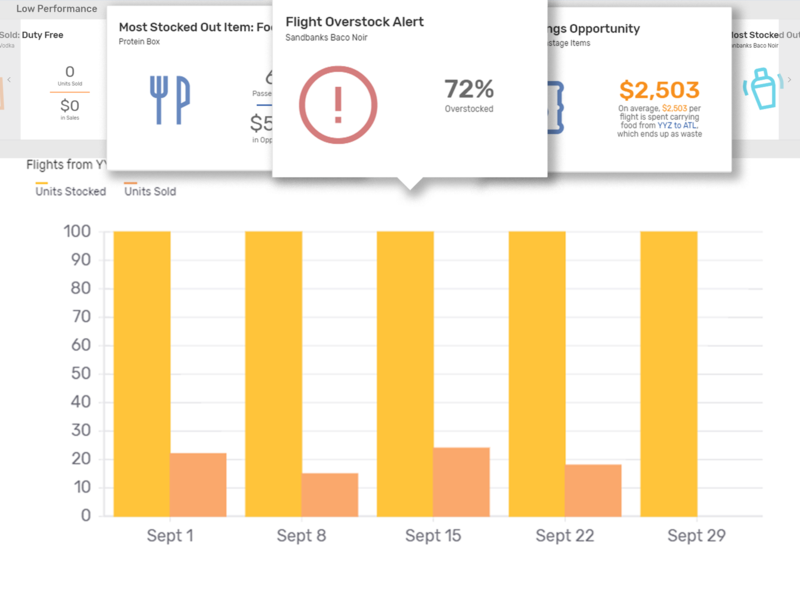 Hover over each card to receive actionable insights for how you can continue operating at optimal levels or how to improve weak areas of your operations. Optimize your inventory by reducing waste and stock-outs.